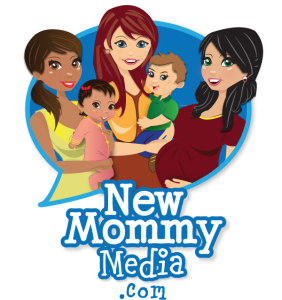 The New Mommy Media Network is focused on providing quality information to new and expecting parents. Most of our people are new parents themselves, who either stay-at-home or work-from-home with their kids. Our goal is to help support them so they have the financial means for the lifestyle they desire with their families. We are currently looking for people for the following positions. If interested, please send your resume and brief email to jobs@newmommymedia.com. We are always looking to launch new podcasts on our network. And to do that, we need great hosts to help lead our conversations! Our hosts are a typically a combination of enthusiastic moms and dads or experts in a particular field related to pregnancy and parenting. Hosts help determine episode topics, find experts and parents for the shows and moderate the conversations during our live monthly recordings. Previous experience as a host isn't required, but we typically hire people who understand podcasting and who have been featured on our shows in the past (wink wink). All our episodes are recorded remotely through our own personal computers, so is a work-from-home position and can be done from anywhere in the country. You will need a desktop or laptop computer (Mac or PC) and a strong internet connection (at least 2MB UPLOAD speed). Hosts are paid $50 per episode. Do you have a background in creating podcasts, radio shows or television programs? We're looking for moms and dads with prior experience as a producer to help us create new episodes! You'll be working with our show hosts to find experts and parents for our episodes, research topics and prepare for our monthly recordings. You'll also be responsible for producing the shows during our live recordings and working with our editors to ensure the best possible product is released to our listeners. All our episodes are recorded remotely through our own personal computers, so is a work-from-home position and can be done from anywhere in the country. You will need a desktop or laptop computer (Mac or PC) and a strong internet connection (at least 2MB UPLOAD speed). Producer are paid $50 per episode and they typically produce more than one show per week. Are you a great salesperson? Do you know all the brands targeted toward new and expecting parents? Then, this may be a great opportunity for you. We're looking for individuals who'd like to join our growing sales team and expand our current list of potential advertisers/sponsors as well as bring in new accounts. Previous sales experience preferred, ideally in the television/radio/internet industry. This is a work-from-home position and can be done from anywhere in the country. Must be able to commit to working at least 10 hours per week. Commission-based only, but we'll be generous, we promise!